Want to be a Highroller?? This post is for you!! Ever been interested in taking up Roller Derby? Now is your chance. NO SKATING EXPERIENCE REQUIRED! Come out October 17, 2018 at 7 p.m. for a Meet & Greet with the Highrollers, as well as get fitted for gear! We will have all sorts of gear and skates on hand for you to try on. If you decide to proceed to our bootcamps and tryout we will have limited gear on hand. This gear fitting is to give you an idea of what types of gear we use and what sizes you would be. 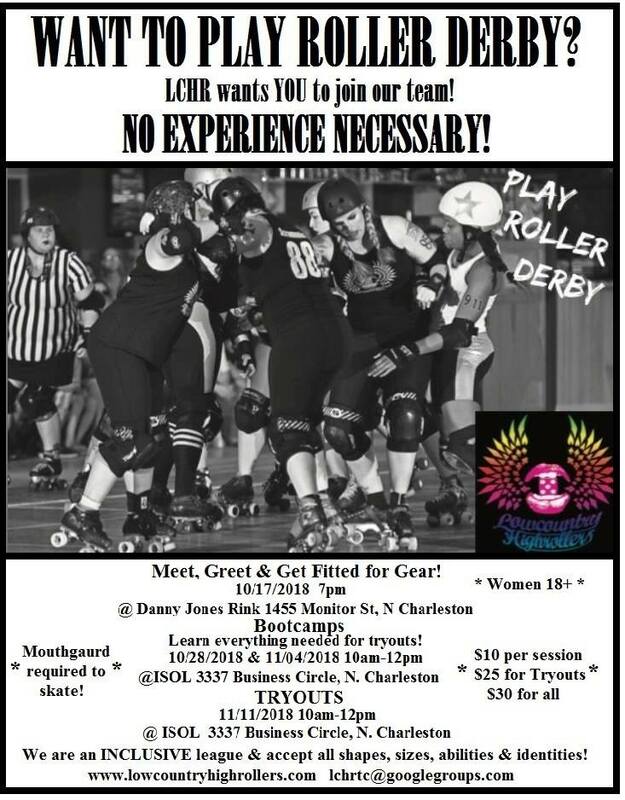 We will be at Danny Jones’ Rink, 1455 Monitor Street, North Charleston. Your Highrollers will be out there ready to answer any questions you may have about getting started. We have girls who started their first sport with us. We are also always on the lookout for Referees and Non-Skating Officials! 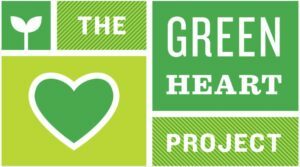 Want to get involved but dont know whats available? We have something that is sure to get your attention! LCHR Bootcamps are workshops geared towards little to NO experience to help you learn the basic skills in order to get through our tryouts. You will learn to skate, stop, fall and some basic footwork to be an amazing skater! LCHR Tryouts is the real deal. This is where you put what you learned in a skill assessment ran by our training committee. 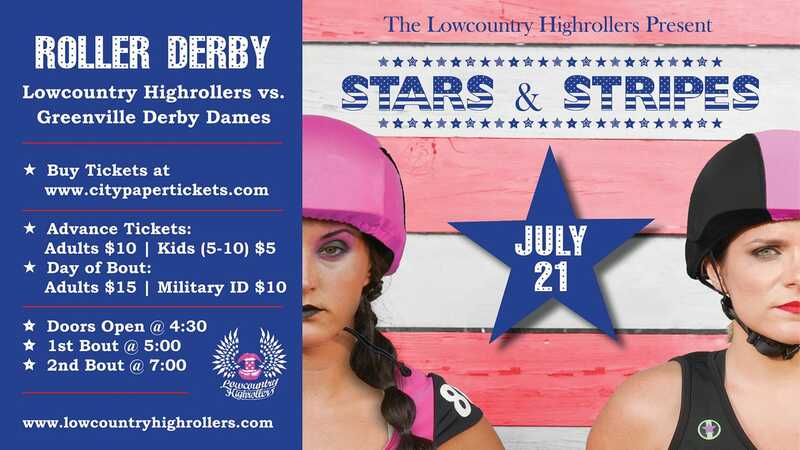 Come join Lowcountry Highrollers for our 2019 season! 30$ for both Bootcamps AND Tryout. 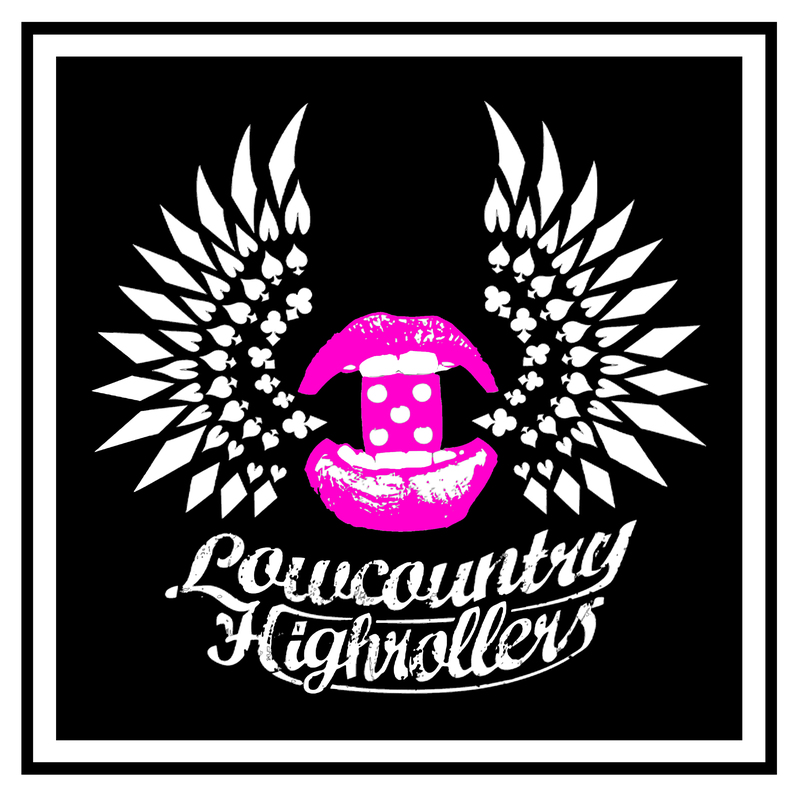 Lowcountry Highrollers are an Inclusive league and accept all shapes, sizes, abilities and identities. 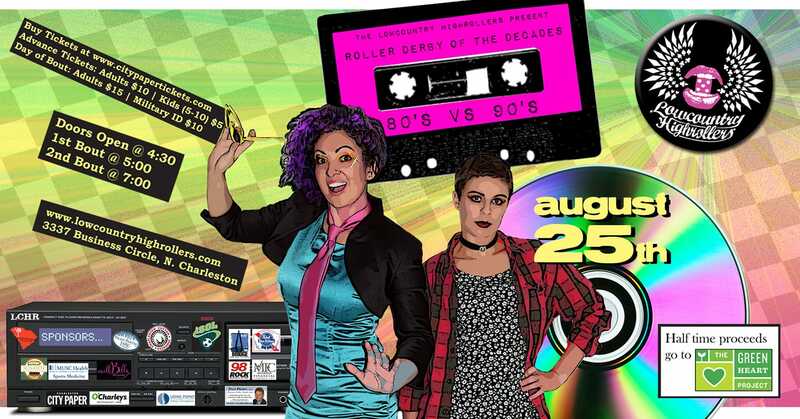 Come out for the double header at ISOL (3337 Business Circle, North Charleston) and see your Lowcountry Highrollers take on Greenville Derby Dames from Greenville, SC. The Bruisin’ Betties also be facing Greenville Derby Dames. We also have Miracle Tasty Express as our food truck! After the games are over, head over to the afterparty at Sandpiper Lanes for a meet and greet with the skaters! See who was chosen as MVPs for both sides. Enjoy drink specials, just for coming to see us. Advanced tickets are $10 – get yours here! !